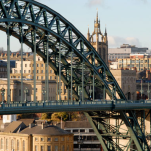 David Wells, one of the EAME team in Newcastle, completed the Great North Run on Sunday 11th September 2016 in aid of Bowel Cancer UK. Despite the rather unseasonal weather, David was able to complete the 13.1 mile course from Newcastle to South Shields in 1:37:09 and in doing so raised over £1,200 for a charity close to David’s heart. 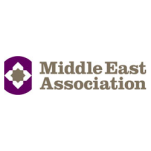 Last Wednesday (7th September 2016), David Wells, technical director for all of EAME’s Iraq project work, attended the Middle East Association’s roundtable meeting concerning Kurdistan. Chaired by David Lloyd OBE and attended by Karwan Jama Tahir, the Kurdistan High Representative to the UK, the meeting was entitled ‘Beginning of New Horizons’ and provided an overview of the developments and recent reforms in the Kurdistan, including the steps taken to overcome the financial and security challenges. Attendees were from across multiple sectors and included companies currently participating in the Kurdish marketplace and others who are planning to engage. David was asked to provide his prospective on infrastructure developments as EAME has been active in Kurdistan and Iraq since 2010 and is currently engaged in a number of infrastructure projects in Kurdistan.